Rebecca M. K. Tapscott is an associate within the firm, working from Northern Virginia's. She received her Bachelor of Science degree in chemistry in 1999 from the University of Central Florida, where she served as treasurer of the student division of the American Chemical Society and was a member of the Society for Women in Engineering and Science. Ms. Tapscott received her Juris Doctorate in 2002 from the George Mason School of Law. Prior to joining the firm, Ms. Tapscott worked as a law clerk for Jagtiani & Guttag and gained legal experience drafting patent and trademark applications, conducting patentability searches, and assisting with intellectual property and corporate formation procedures. 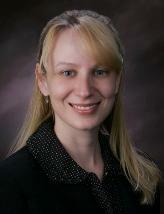 Ms. Tapscott also worked as an associate attorney for Diederiks & Whitelaw, PLC. Ms. Tapscott’s practice involves intellectual property litigation, the preparation and prosecution of patent applications in the chemical and mechanical arts, strategic alliance and development agreements, and trademark prosecution and opposition matters. Ms. Tapscott is admitted to the Virginia State Bar and is a registered patent attorney with the United States Patent and Trademark Office. She is also a member of the American Bar Association and the American Intellectual Property Law Association. Mekra Lang Gmbh v. Truck-Lite, Co., Inc.